the FA Charter Standard Program. Launched in 2001, The FA Charter Standard Programme is The FA’s accreditation scheme for grassroots clubs and leagues. Its goal is to raise standards in grassroots football, support the development of clubs and leagues, recognising and rewarding them for their commitment and achievements. 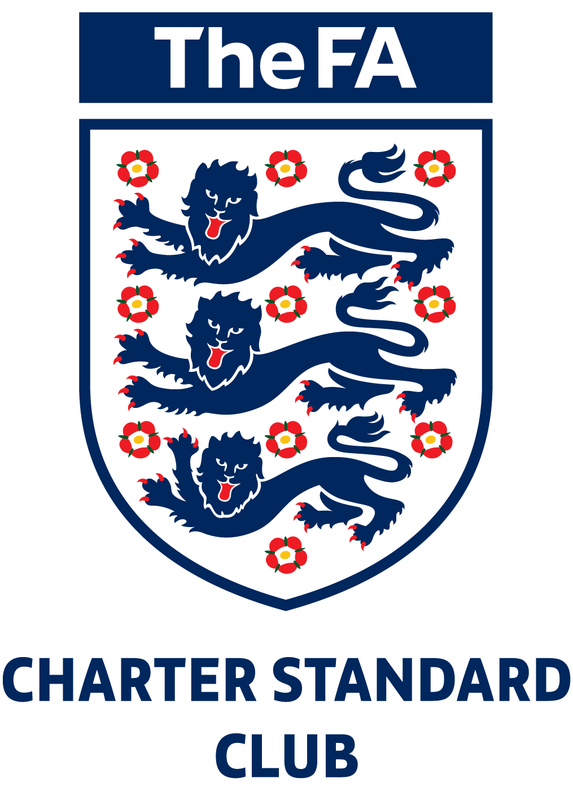 The FA Charter Standard accreditation is only awarded to clubs and leagues rigorously adjudged to be well-run and sustainable – and which prioritise child protection, quality coaching and implementation of the Respect programme. The FA Charter Standard programme recognises and rewards high quality levels of provision in club and league football. The kitemark is awarded to clubs and leagues that are well run, sustainable, which place child protection, quality coaching and safety paramount. Criteria for achieving the entry level award include having a trained Welfare Officer, CRB checks for all volunteers, Emergency Aid-trained volunteers linked to each team, Respect programme sign-up, a Level One coach for each youth team, appropriate club administration in place and a volunteer co-ordinator. Maintains appropriate levels of discipline.